In Memoriam: Capt. Joseph Frohnhoefer, Jr.
SOUTHOLD, NY — Capt. 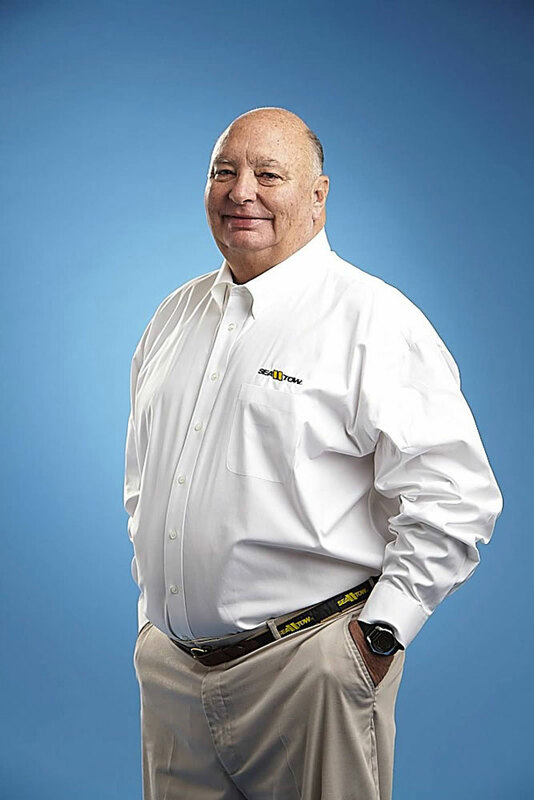 Joseph Frohnhoefer, Jr., founder and CEO of Sea Tow Services International, Inc., has died. He was 71. Frohnhoefer, who established the emergency assistance service for boaters in 1983, passed away at his home in Southold, New York, Tuesday, March 24, from cancer. His wife of 46 years, Georgia, was by his side. Born on Oct. 30, 1943, to parents Joe and Theresa in Baldwin, New York, Frohnhoefer spent a lot of time on the North Fork of Eastern Long Island where he developed his life-long love of the water. It was his love of being on the water and a passion for boating safety that led to his founding of a company that offers boaters a resource that provides both security on the water and peace of mind. The company is the nation’s leading commercial on-water marine assistance provider. “Our industry has grown and changed over the years, but I am proud that our Sea Tow family continues to provide the most professional and comprehensive services available nationwide to our boaters,” Frohnhoefer said in a 2013 interview with The Log. Frohnhoefer sought to create a brand new niche market in the boating industry after the Coast Guard stopped providing non-emergency assistance services to boaters. He essentially created a brand-new industry in the recreational boating trade. Today, the Sea Tow franchise is a network with more than 100 locations and captains across the United States, with offices in Europe and the Caribbean. Before he established Sea Tow, Frohnhoefer worked as a licensed electrician; taught industrial arts and driver education at a high school for several years, worked as a part-time boat salesman for Port of Egypt in Southold, and took on the role of owner of Water Thrills, Inc. His resume also included a 12-year stint with the Suffolk County Police Department and volunteer EMT for more than 30 years with the Southold Fire Department. His daughter, Kristen Frohnhoefer recalls that when she and her brother, Joseph Frohnhoefer III, were young, the 24-Hour Call Center for Sea Tow was located in their home in Southold. Many times, that captain was her father. Frohnhoefer’s businesses have always been a family affair, a legacy started by his father who ran an electrical store. Frohnhoefer worked for his father for several years as did his wife, Georgia, who serves as Sea Tow’s executive vice president. Kristen and Joseph Frohnhoefer III also help run the business. Headquartered on Long Island’s North Folk, Sea Tow grew to other regions around the world and throughout the country with offices across the U.S., Europe, the Bahamas, Puerto Rico and St. Thomas. Sea Tow now operates more than 100 locations. The company’s fleet has also grown from one work boat to a fleet of 600 boats nationwide. Frohnhoefer’s contributions to the industry in the areas of leadership and dedication to promoting boating safety have been recognized by various committees. He served two terms on the U.S. Towing Safety Advisory Committee (TSAC) and also co-founded C-PORT (Conference of Professional Operators for Response Towing), the national association for the marine assistance industry, in 1986 and served on the C-PORT Board of Directors until his death. Frohnhoefer is survived by his wife, Georgia Frohnhoefer; his daughter Kristen and her fiancé John Harold; his son Joseph Frohnhoefer III, and his wife Erin, and his two grandchildren, Paige and Sam. Southold Fire Department: Southold FD, PO Box 1469, Southold, N.Y. 11971. Sea Tow Foundation: Checks may be mailed to: Sea Tow Foundation, PO Box 1325, Southold, NY 11971.